Wh at to do when you find someone using your photographs without permission? 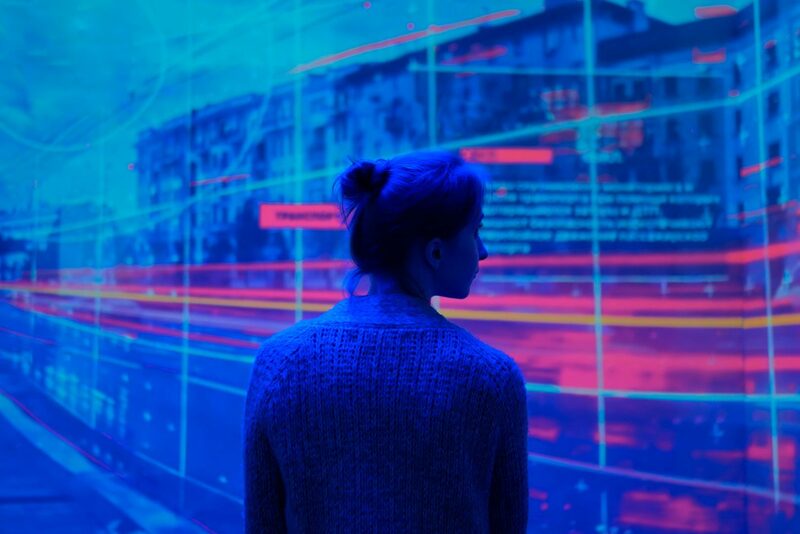 A few months ago, we announced our new image tracking service, that would track photos registered at SafeCreative and locate them on the Internet. But, once they are found, what do you do next? ImageProtect, our collaborators, do not only track the images, but they also offer the possibility of reporting copyright infringements step by step, whenever the circumstances may require it. This post explains how to configure the image tracking service, compile evidence of the infringement, negotiate or request the work’s removal. More information: What to do in case of plagiarism or other unlawful use of our content. 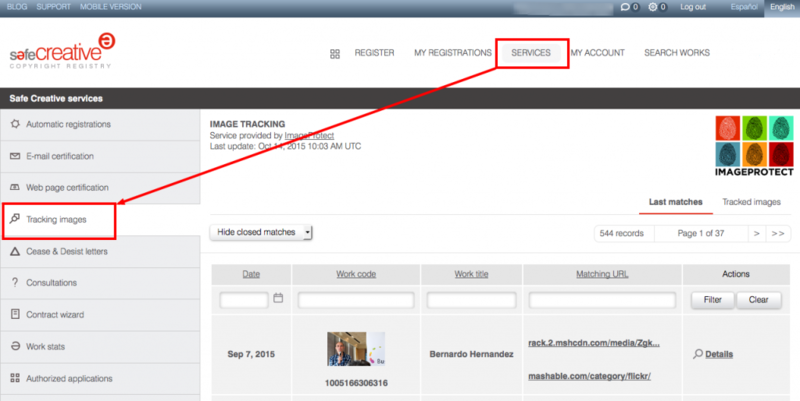 You can activate the tracking image by image in its edition page, or you can select several photos at the same time at your registrations’ list and activate it from there. ImageProtect will start searching from that moment and won’t stop looking for coincidences unless we choose to disable the tracking. In the Actions’ column of the Tracked Images tab, click on “View matches” for further details about the websites where the photo has been found. The first link that you will see is the URL where the image is stored, and the second one is where it is being displayed. Click on the second one to check if the photo is being used without respecting your copyrights. If there is one match with a website where your photo is being misused, click on the “Details” of that match to see further information about the page. You will see an option to take a screen capture of it using PageStamper. This capture saves the visual aspect and HTML of the page, and the exact date when it was taken. It can be used as evidence of the infringement later on, in the event of negotiating or taking the case to court. Example: Certified screen capture by PageStamper. At ImageProtect, you can request compensation or the removal of the work from the website. In order to start this process, you will have to fill in a form and select, if necessary, the wished amount of money to reach an agreement. This amount will likely have to be negotiated later on. ImageProtect’s lawyers will deal with all of this procedure for you and try to make the best deal possible for every case. 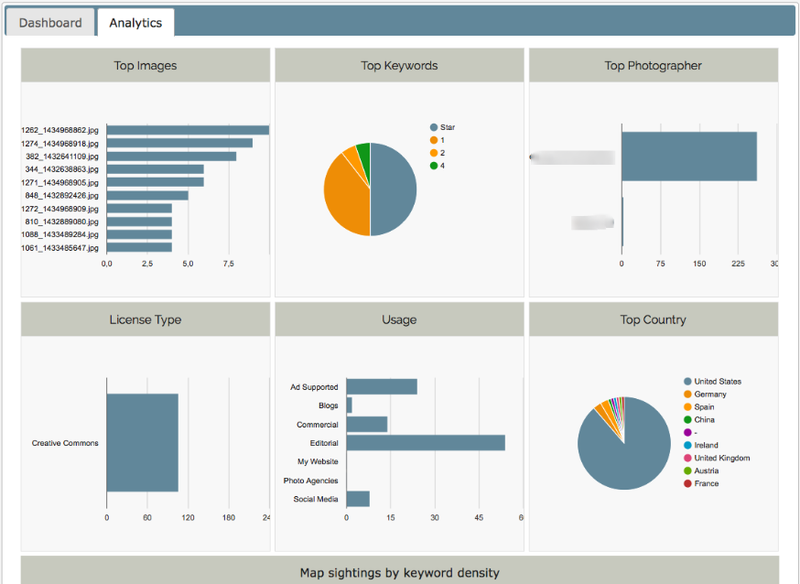 Note that your ImageProtect’s dashboard will provide you with some relevant information about your account and tracked images. As an alternative, SafeCreative also has the option to send “Cease & Desist” emails to the addresses obtained through ImageProtect. 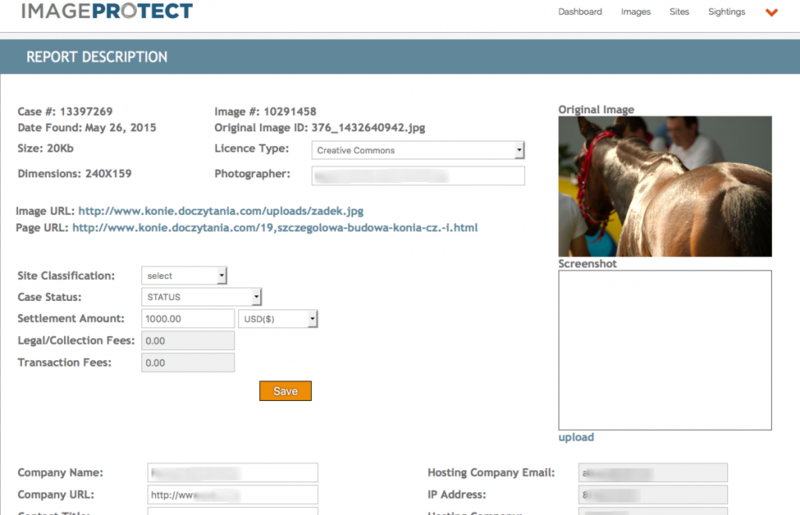 Select the photo, then click on Send “Cease & Desist”, fill in the form and send it. The recipient will be able to answer through a link that will appear in the email. In circumstances where infractors may dismiss these warnings, it may be required to turn to a lawyer. If you need to, enter our Agents’ Directory to contact copyright professionals who offer counseling and defense services. Before taking action, we recommend you to read the aforementioned post about what to do in case of unlawful use of your work.